And then one day someone named Penelope answers her ad for a friend. And from that moment on, Vivian’s life begins to change. Debut author Caitriona Lally offers readers an exhilaratingly fresh take on the Irish love for lyricism, humor, and inventive wordplay in a book that is, in itself, deeply charming, and deeply moving. Quirky and offbeat - those are my favorite types of characters. They are the ones that march to the beat of their own drum and view the world through neon-green lenses. They are unique and fascinating. And they are unforgettable. 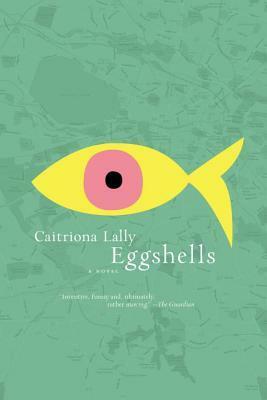 So, I was thrilled to when offered the chance to read Caitriona Lally's novel, Eggshells - the story of a quirky gal named Vivian. How could I resist, right!?! Vivian is definitely odd. Her parents told her she was a "changeling" - something she still believes. She's always looking for the entrance to the world she knows she belongs in. The only downside to being different is that not everyone understands you - like, at all. Vivian's family talk down to her. Her neighbors think she's crazy. And her friends are nil. Yep, Vivian is lonely. She wants a friend. So, she decides to find one - the only requirement, the friend must be named Penelope. And we are off. Eggshells is a character-driven story to the max. 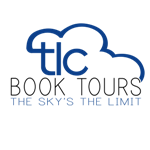 Its slow-going and doesn't really have a plot. The story is more like a snapshot into the life of Vivian and her plan to make a new friend. Nothing much happens, except the daily goings-on of life itself. I enjoyed learning about Vivian in this way. My only quibble, is that I would have liked to learn more about her past. And I did feel like the story just sort of petered out and ended. I feel like oddball characters tend to have adventures of some sort and that Vivian's story didn't really have one. I suppose I just wanted "more". I feel like I thought the story would be one way and it turned out to be vastly different than what I had expected. Not necessarily in a bad way, just not as good. I just feel like I was reading and reading, but not really getting anywhere with what I was reading. Does that make sense? It sounds so promising but then disappointing. Thanks for your review.